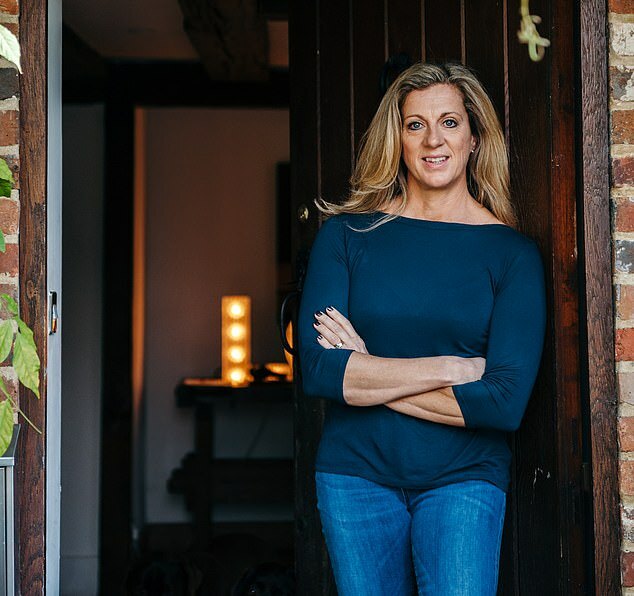 Olympic gold medallist Sally Gunnell feared her son’s crippling migraines were a sign of a deadly brain tumour. But the former track-and-field athlete was shocked to discover Luca’s persistent agony was actually caused by a wheat intolerance. As a youngster, Luca was passed from pillar to post between specialist doctors, who were baffled over what was causing his pain. The now 17-year-old only found relief when a food intolerance test spotted the cause of agony was a sensitivity to wheat – found in pasta, bread and biscuits. 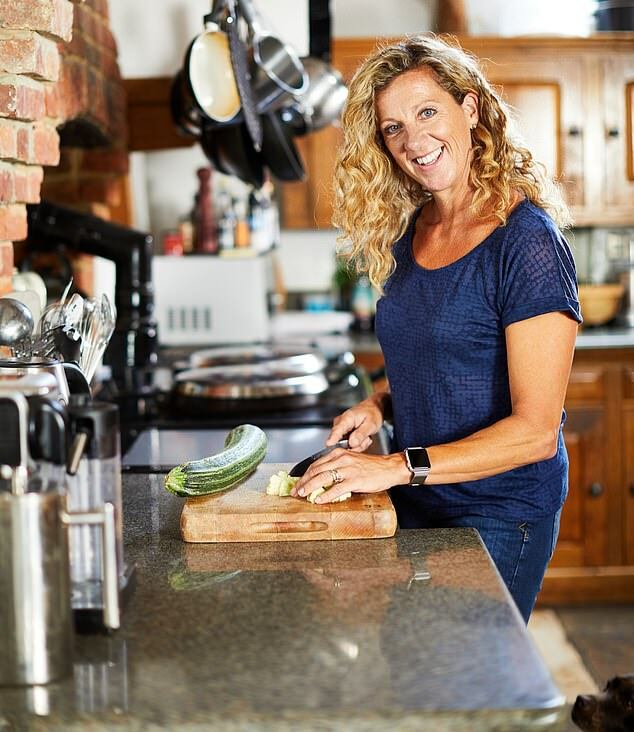 Ms Gunnell, who won the 1992 Olympic gold medal in the 400m hurdle in Barcelona, described the discovery of her Luca’s wheat intolerance as being life-changing. The 52-year-old added: ‘I wish we’d have known about his food intolerances years ago. He used to be quite argumentative and difficult, as a lot of kids can be. ‘But how many kids’ issues do we put down to their age and hormones when actually it could be down to the types of foods they’re eating? ‘Luca had headaches for absolutely years, suffering with migraines that would have him bed-ridden. ‘His moods were always low and he was always so tired as a child that he’d have to go to bed early. He’d be argumentative, and also quite edgy. The TV presenter, married to performance coach Jonathan Bigg, said Luca’s terrible headaches were a source of much anguish as he grew up. Ms Gunnell, who lives near Brighton, saw numerous specialists in search of what was contributing to the problem, only to run into a brick wall each time. 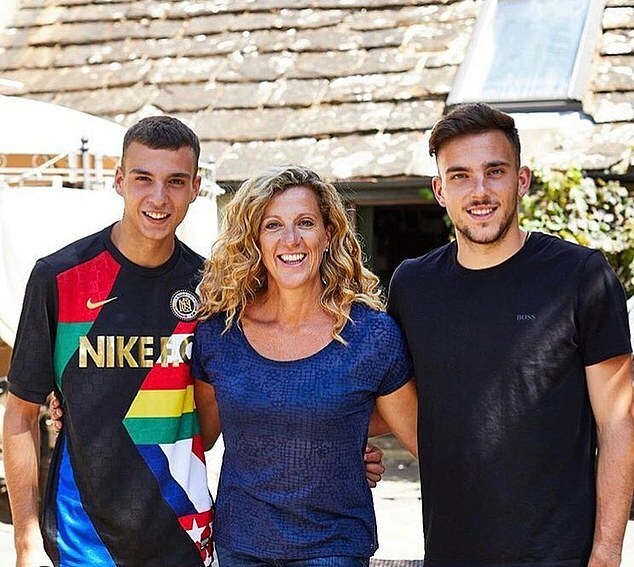 Describing the fear she faced when her son’s symptoms wouldn’t vanish, Ms Gunnell added: ‘Luca’s headaches were a real worry. ‘In fact, the situation got so bad we started to think he might have a brain tumour, as the headaches came so often and were so severe. Ms Gunnell finally discovered the cause of her son’s migraines last August, after taking an intolerance test by YorkTest Laboratories. The test requires a finger prick of blood. It then measures spikes in food-specific IgG antibodies. And by monitoring the IgG antibodies released in the presence of certain foods, ‘trigger’ items can be identified and then eliminated from someone’s diet. And it’s not just Luca who has been diagnosed with an intolerance in Ms Gunnell’s family. WHAT IS A WHEAT INTOLERANCE? A wheat intolerance, otherwise known as a wheat sensitivity, should not be confused with a gluten intolerance. The two are closely related but are not the same thing. Gluten proteins are found within wheat. That means that those who are gluten intolerant are also wheat intolerant. However, it doesn’t work the other way around. Gluten is found in other grain substitutes such as barley and rye, so those with a wheat intolerance who do not react to gluten proteins, can still eat these foods without experiencing a reaction. The symptoms experienced by those suffering with a wheat allergy are much more severe than wheat intolerance symptoms and can be deadly. 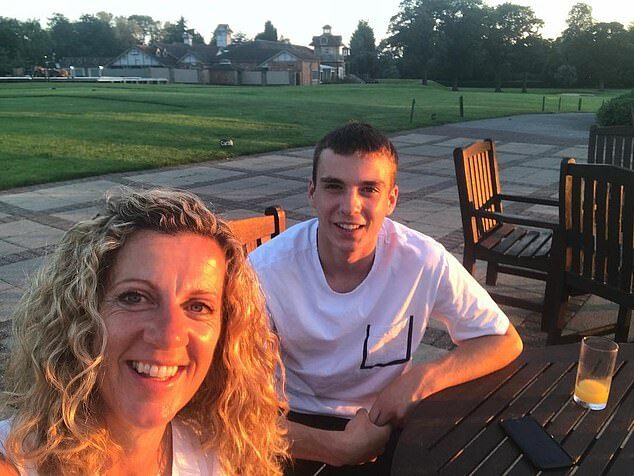 Finley, 20, who is also a promising 800m runner, has been diagnosed with a wheat and dairy intolerance after taking the same test. While Ms Gunnell, who retired in 1997, claims she has rediscovered her sense of smell after cutting out egg and cow’s milk. 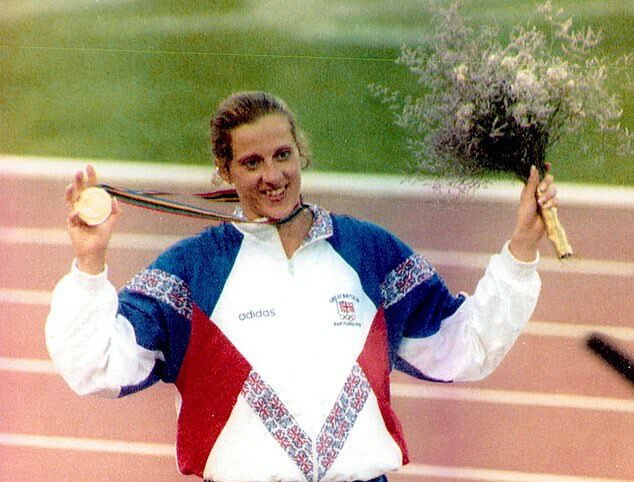 She said: ‘During all my years as an athlete, I actually struggled to breathe through my nose and had no sense of smell. ‘And I always had to breathe through my mouth when training. But I never realised what was causing the issue. And her 53-year-old husband had his suspicions that he was intolerant to dairy also confirmed when he took a test. Ms Gunnell’s youngest son Marley, who turns 14 in February, is the only one who hasn’t yet taken a test. It is estimated that as many as 45 per cent of Britons have a food intolerance, with the most common type being lactose. Common symptoms include tummy pain, bloating, wind, diarrhoea, skin rashes and even itching. Headaches can occur. And food intolerances are different to allergies, which affect the body’s immune system, cause almost instant reactions and can be deadly. In contrast, intolerances can take 72 hours to appear, making it very difficult to pinpoint the offending food. They are also never life-threatening.